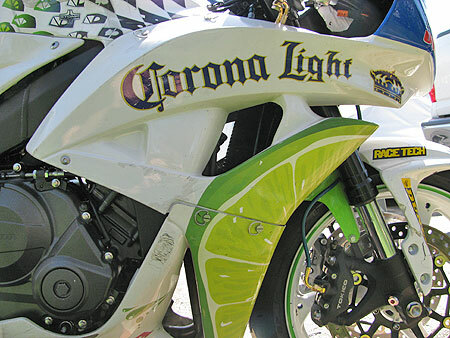 This used race bike is equipped with a new, stock engine with zero miles. Please Note: For an addtional $3,700.00, this used race bike can be upgraded to AMA Supersport spec with a race-ready engine and front-end suspension tuning utilizing Race Tech or Ohlins fork internals. Please Contact us here for more detailed information. 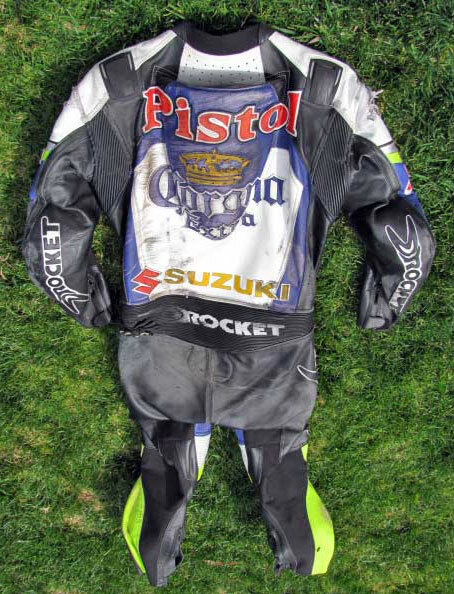 Joe Rocket® brand racing leathers worn by AMA Pro Racing Supersport pilot Ben Attard during his debut season in America (2004). Please conctact us here with purchase inquiries. 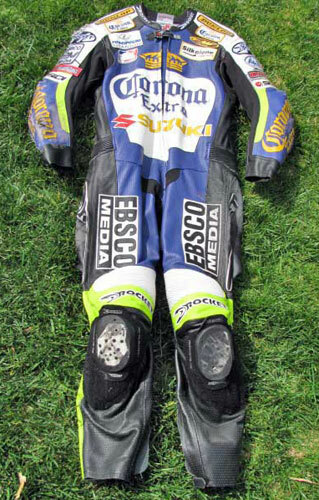 More collectible Corona Extra Racing leathers may be viewed here.